Vortex Strike Eagle vs. Primary Arms 1-6 Review - Best Comparison in 2019 April! The Vortex scopes are as popular as ever, and they have a lot of competition from similar fabricators, among which stands out Primary Arms. 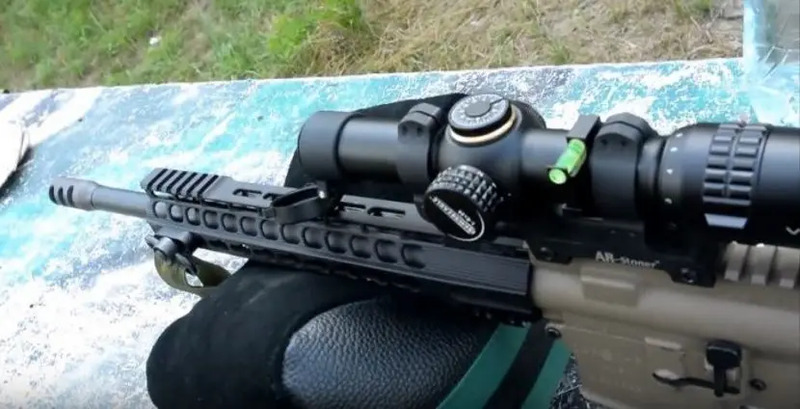 Primary Arms is a leading scope manufacturer and provides similar low-cost, high-quality products that compete directly with the Vortex models in the same category. In this comparative review, I look at the Strike Eagle 1-6X24 Riflescope and compare it to the Primary Arms 1-6x24mm SFP Riflescope. Both are great models, where the Vortex model is a third more expensive than the primary Arms model, and it’s time to find out why and if it’s worth the price? 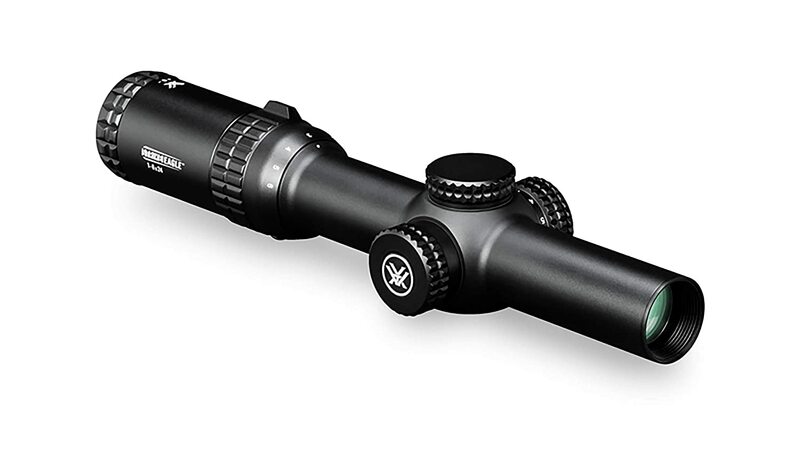 Vortex is as ever giving us a run for our money with this exceptional riflescope. 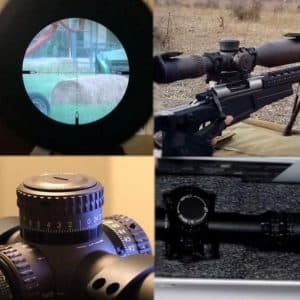 This is their 1 – 6x magnification AR-BDC reticle that is designed for work with 5.56 mm caliber cartridges, which means its designed for AR-15 compatibles of all kinds. 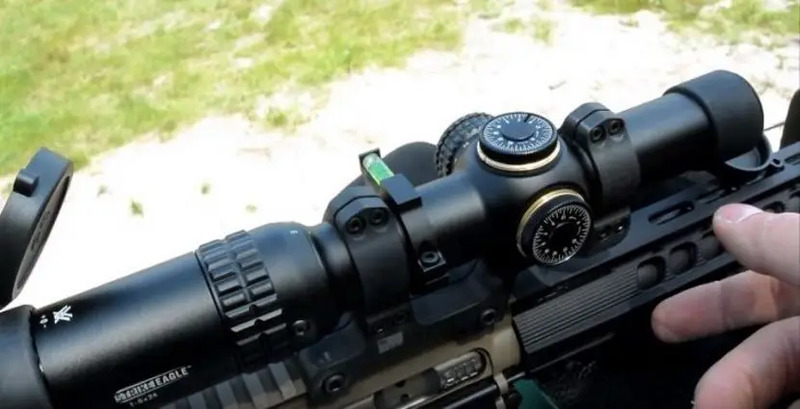 When it comes to optics, this is a Vortex, which means you get high quality fully multi-coated optics with anti-reflection functionality on all their scopes, including the Strike Eagle. 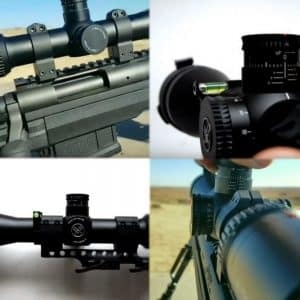 The optics include a second focal plane reticle that keeps the size and scale for estimating and accurate range finding, holdover and wind drift correction in all magnification settings. The reticle is etched on the glass and is illuminated for low-light environments and is illuminated by a single CR 2032 battery. This model is 30 mm in diameter and is made from a single piece of aircraft grade aluminum alloy, that is nitrogen purged against fog, and has O-ring seals to assure waterproofing. The solid and rugged construction makes this an exceptionally well-built housing that is shockproof for heave recoil and vibration. The finish is a standard anodized matt. The turrets are capped for quick re-indexing to zero, and also provide good cover and protection to the scope when not in use. The field of view and eye relief are exceptional, and this model provides a fast focus eyepiece for accurate aiming and correction even in extreme conditions. Tie primary Arms PA1-6X24SFP-ACSS-5.56 is a second focal plane scope (Gen III) that comes with their patented ACSS® (Advanced Combined Sighting System) reticle. This model delivers correction adjustments for range estimation, bullet drop compensation, wind holds, and moving target lead. 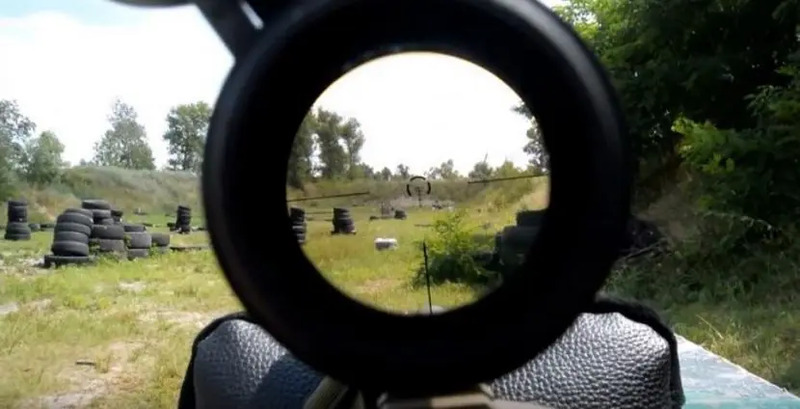 The second focal plane reticle is designed to provide a same sized scaling reticle at all magnifications and delivers fast and accurate target acquisition from 0-300 yards, and a good performance in acquiring targets from 300-800 yards. This model is made from a single machined tube of aluminum alloy that is anodized with a matt finish. The internals is nitrogen purged to provide excellent anti-fog features. The tube is 10.04 inches long, and the illumination is powered by a single CR2032 battery. There are 11 settings for the reticle brightness, and the lenses are all multicoated for anti-glare and anti-scratch properties. Capped Turrets, Low Profile, Finger Adjustable. 6063 aluminum body is Type II hard anodized. The thing about similar scopes is that they are similar, and in this case, they look very similar. The main outer appearance is that the Vortex has white logos on the sides of the dials, and the PA has a darker matte finish, so in terms of looks, the Primary Arms seems a little less conspicuous, but that’s as far as it goes for the Primary Arms. Oh, sorry, the Primary Arms is also two thirds the price of the Vortex, so it is significantly cheaper in price comparison. 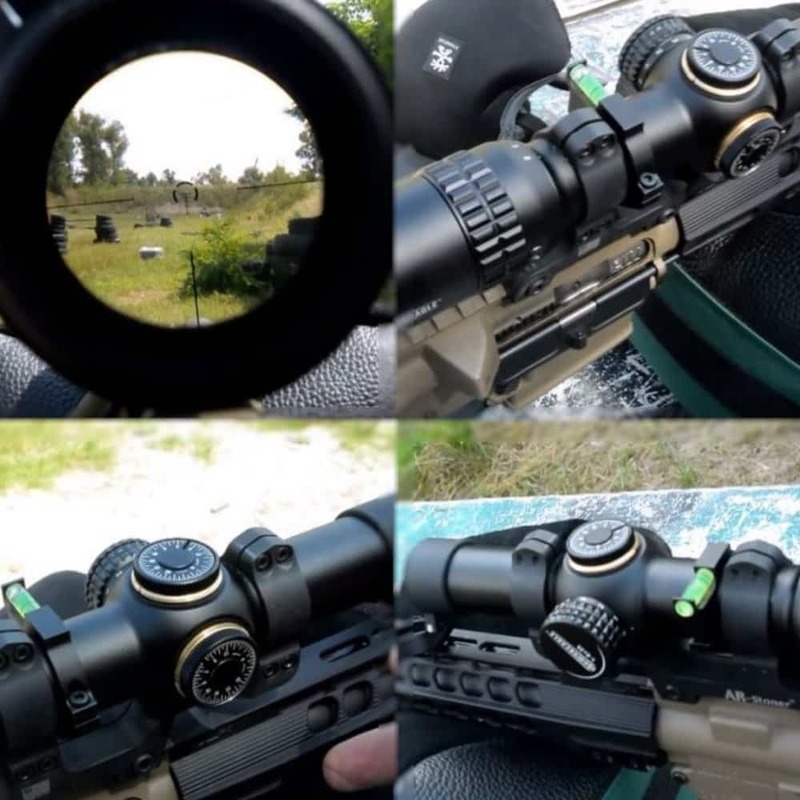 Vortex doesn’t stray from its quality of production, and their site produces strong, reliable aluminum scopes with high-quality O-ring seals and great shockproof designs. 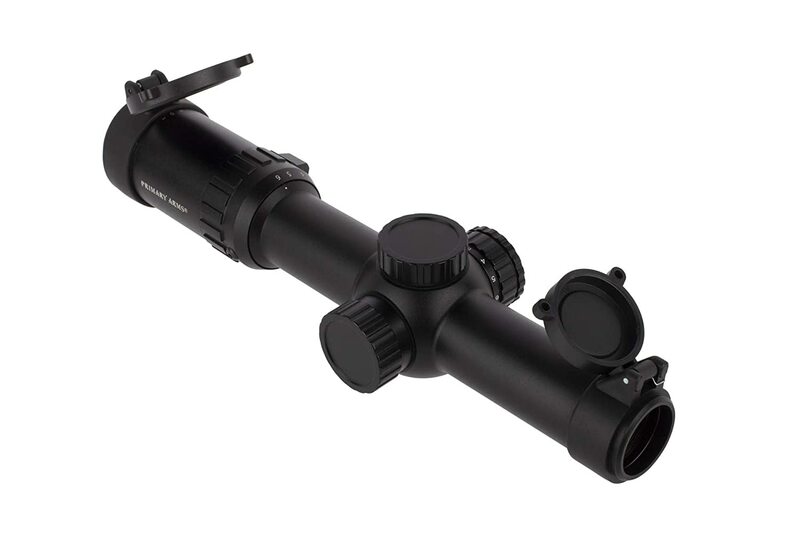 Their nitrogen purged interior is excellent, although on the rare occasions (1/10,000) when scopes fog, Vortex rectifies it immediately with perfect customer care and support when you return the scope, they replace it immediately and add a few goodies too. The Strike Eagle is slightly longer and heavier, well actually its only 0.1 mm longer but is 1.5 ounces heavier and this weight goes into their shock proofing system, so you do get a slightly heavier scope but in terms of overall shock performance to recoil, constant recoil and tactical conditions (such as banging it against a wall) the Strike Eagle outperforms the Primary Arms hands down. The Strike Eagle reticule is an AR-BDC reticle which means it’s designed for close contact, tactical support as well as for distance shots. The Primary Arms ACSS is more in line for close combat and fast targeting acquisition; the long distance performance is sadly underwhelming when compares to the Strike Eagle. The Primary Arms Gen III reticle now delivers range estimation, bullet drop compensation, wind holds, and moving target lead. However, so does the Strike Eagle, another tie. Both scopes use a CR2032 battery for illumination; the Vortex has a 150-hour lifetime capacity for both. So this is a tie. Both come with lens coatings, but there is not much paperwork on the PA model, while Vortex goes into details about its multi-coating anti-reflection features, and this is proven time after time in the field. I can state that I never had an issue with the Primary Arms coating either, it’s just a shame they don’t state more about their optics technology. 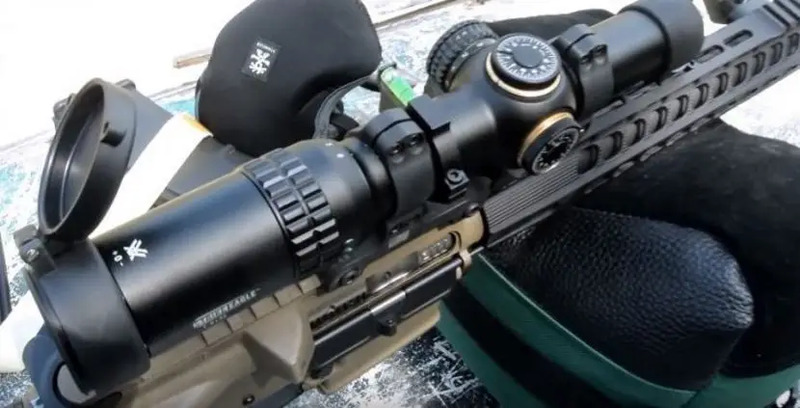 Both come with the same 24 mm objective lens diameter, but the quality of the Vortex optics outperforms that of the Primary Arms, and they both come with 30mm tubes. So testing brightness and clarity of vision is perceptually easy, and the Vortex is a clear winner here. While both companies make exceptional products, the upgraded Gen II PA model does not yet compete with the Vortex Strike Eagle. The Strike Eagle is a perfect scope for just about any AR application, from range shooting to tactical use, its solid, precise and easy to operate. The PA has improved its functionality and is now has a much better target acquiring system. Overall, the main difference would have to be in price, where budgets can confine you when the difference is around 33% in favor of the Primary Arms. However, if you want a stronger model with the better overall performance, you would choose the Vortex. The Vortex Strike Eagle has a much smoother performance and can withstand heavier recoil. The bottom line; it’s a hard decision, but I had to swing in favor of the Primary Arms, only due to the significant price difference and my applications. If I were going to Iraq I might have preferred the Vortex, but I am only going to the range and sometimes out hunting, as such, the Primary Arms gives me the similar quality of performance, but at a much more manageable price. The price difference means I can actually buy more equipment for my trips, and when you consider that I have four guns for different purposes, every dollar I save on similar quality items counts.